We love providing our clients opportunities to try new beauty procedures. Visit our monthly specials page every month to find out what's new at Anew You! Ditch the turtle neck this winter! With CoolSculpting there's no surgery or no downtime, but only great results! CoolSculpting can get rid of fat in the neck/chin, abdomen, flanks, thighs, & arms. Fall into a new normal... We're bringing back the confidence & heat back into the bedroom. The O-Shot offers great benefits for women while the P-Shot helps men. 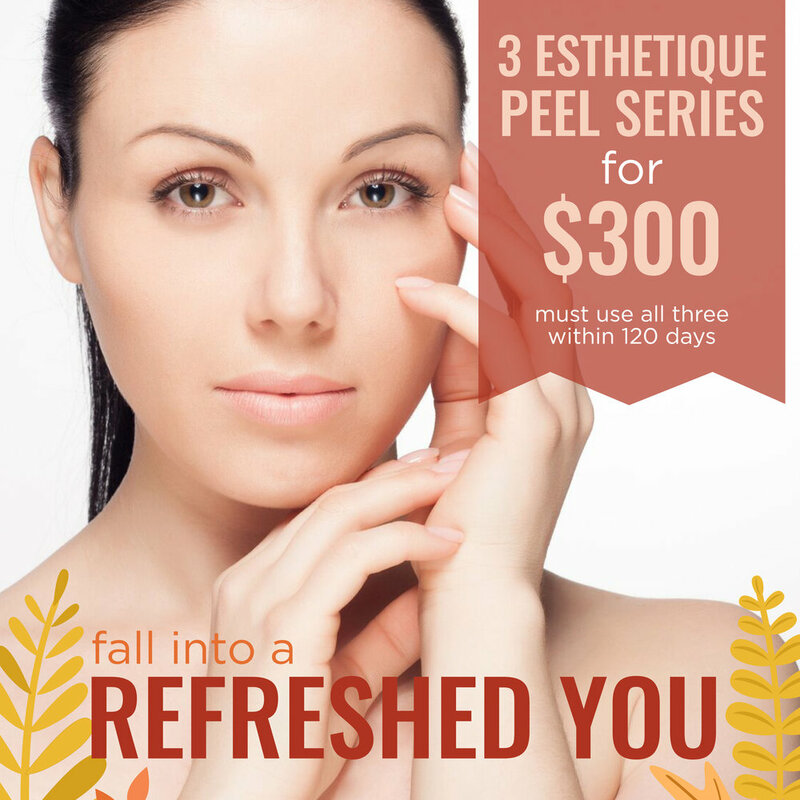 Feel refreshed... Peels are great for all skin types & help main skin health and prevent visible damage. Come see Dr. Sherry for a refreshed natural look today! Did the razor burn & numerous waxing appointments wear you out this past summer? Now is the time to start laser hair removal in your bikini area so you're perfectly smooth next summer! Fall into a healthier you! Let Ideal Protein help you lose weight while our gym helps you get tone & looking better than ever! P.S. Kick start that New Years resolution! Purchase 3 ThermiVA treatments and receive a free o-shot! Fall into a rejuvenated you! ThermiVa helps women gain back confidence & feel better than ever down there.